This was my 3rd attempt to here and apparently third time is the charm because soon as my friend and I stepped inside Dong Bei, a couple actually got out of their tables. Talk about perfect timing. The first two attempts I had were failures because there were just too many people eating and we couldn't be accommodated. 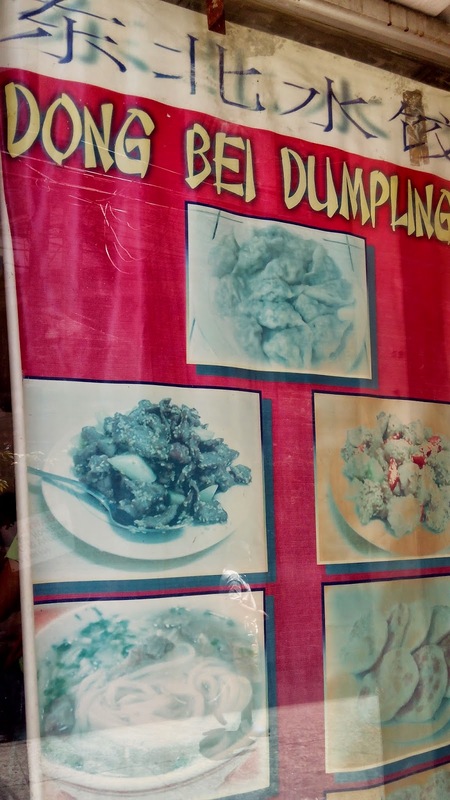 Dong Bei Dumpling is located at the back of Binondo Church. You just need to ask where it is and everyone can point it out to you since it is quite a popular spot. The place is very small though so if you think you can bring your entire barkada of 20, you have to think again. 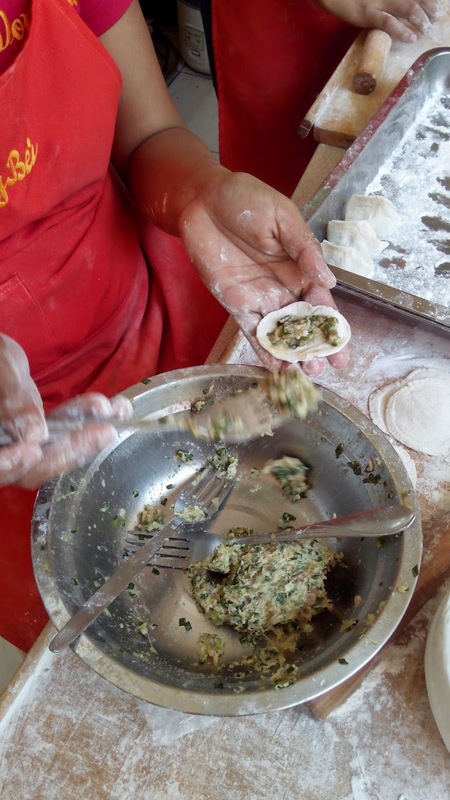 The famous kuchay dumplings are made fresh and daily. They open at 10am but make sure you are ready to wait since they will just be making it then. 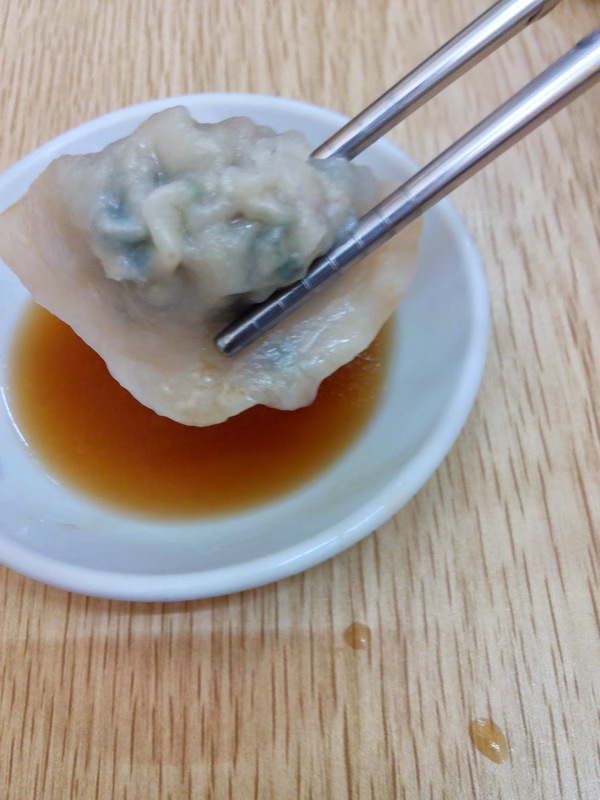 This is to ensure that the fresh taste remains the same. 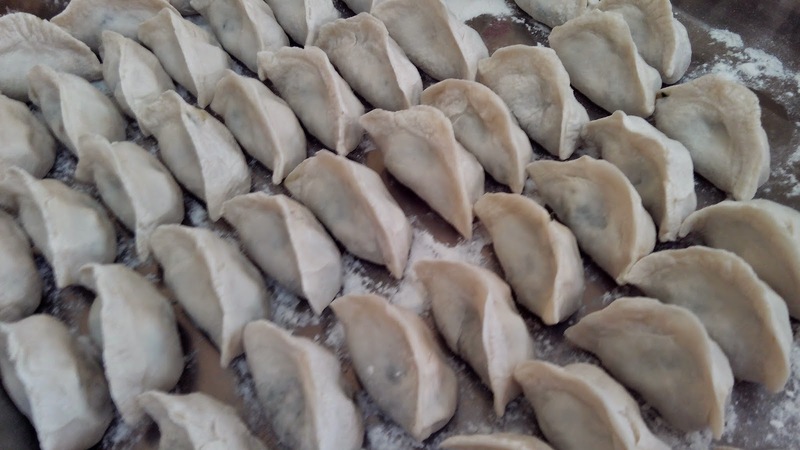 They do have frozen ones but those need to travel for only 3 hours or the taste will be sacrificed. Since I like ordering something different, I tried the herbal tea. 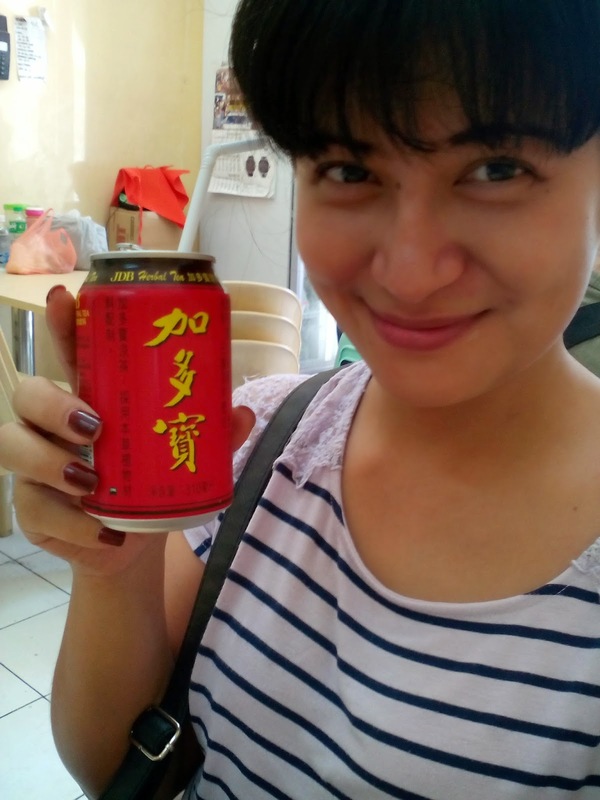 Yep, the Chinese character you see loosely translates to "herbal tea." This is a cold drink and the server said it was like black gulaman. NOPE. It's Chinese tea turned cold. Thankfully, I liked it. Either that or I was just really hungry and thirsty already. I look so Chinese here no? TA-DA! 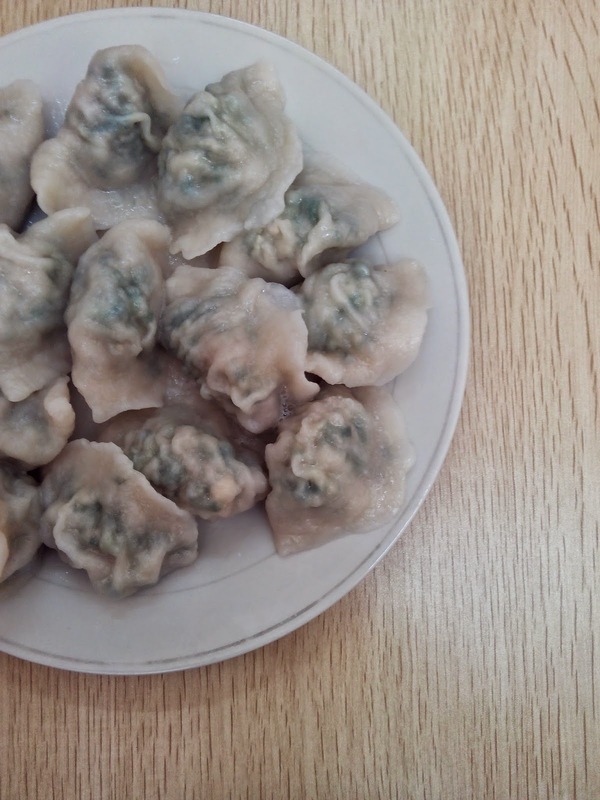 This is the kuchay dumplings. It doesn't look much but trust me when I say that I could have easily downed this entire plate all by myself. Aya. This is why I am having a hard time losing weight haha. Seriously, this was GOOD. Yes, you need to dip it in soy sauce for more awesomeness. 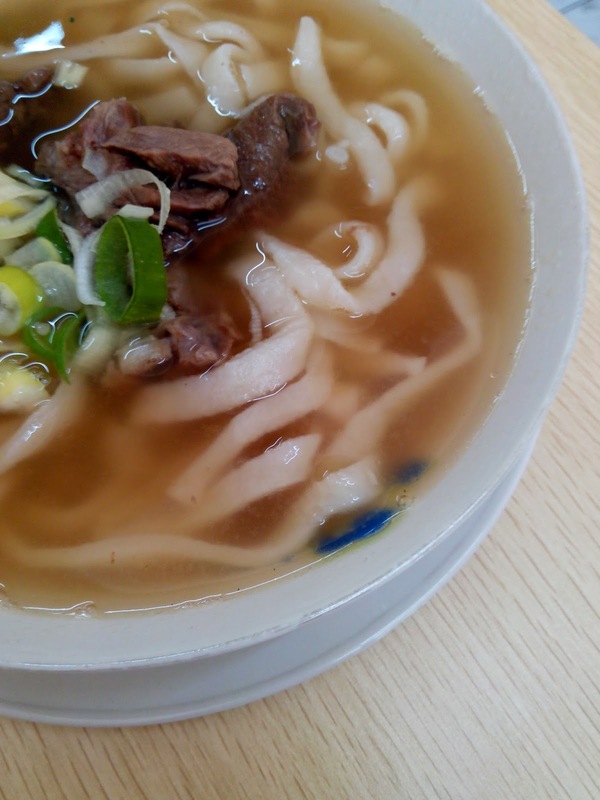 I also had the beef noodle and mind you, the beef was super soft. It required almost no chewing to be honest. It was in the broth that long. The noodles may not be everyone's cup of tea since it's pretty wide and a little chewy but I personally liked it. Now this dry soy bean noodle was different. The cucumber overpowered everything. 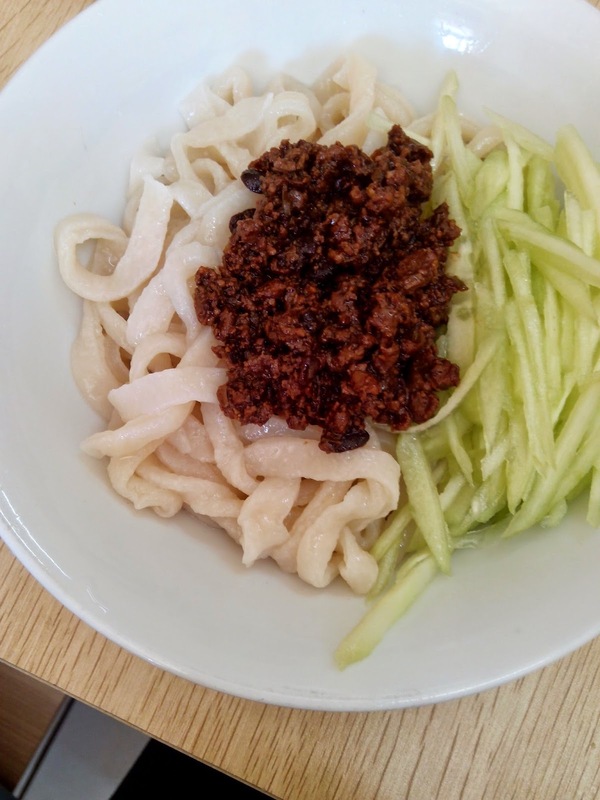 I wish there was less of the cucumber and more of the meat that was placed on top of the noodle. I don't recommend this one. Sarap naman! I wanna food trip din tuloy!